If you missed any of the showings of the award-winning film Sons of Ben: The Movie such as the Philly debut last summer at The Trocadero, it will be available for purchase on iTunes, Amazon, and Google Play beginning on Friday, July 22. 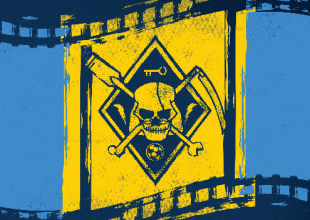 Using interviews and contemporary footage, the film details the origin of the supporters group whose work was instrumental in showing MLS that Philadelphia deserved its own professional soccer team, as well as the group’s commitment to Chester when that city became the home of Philadelphia Union’s stadium. Click here to read PSP’s take on why every Union fan should own a copy the film, which will also be available On Demand and re-released on DVD on Friday. Yup…will be buying my Amazon copy tomorrow. I’ve been waiting for the streaming version. DVD’s are dinosaurs. do we have an ETA on the VHS versions release? Could not find it on Amazon – albeit it is 8am. Will it be available for purchase as a DVD or on Prime Video?